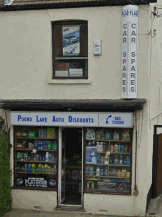 Need A Stanford Le Hope Car Spares Shop? Stanford Le Hope doesn't have too many options if you are looking for sellers of car spares, parts and motor accessories. But that shouldn't matter at all. Now you have found Pound Lane Auto Discount, you have instant access to the number one car spares shop in the whole of Essex. What Makes Do You Sell Parts and Spares For? 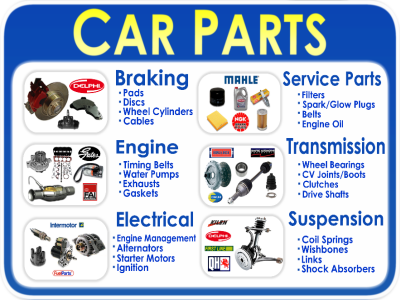 At Pound Lane Auto Discounts you are just a short drive from a huge range of spares and parts. The list below shows the majority of the vehicles that we deal with on a daily basis. From the latest Ford Focus, to a 1967 Classic Mini Cooper. From a kit car sitting unfinished in your Stanford Le Hope garage, waiting for that rare element that you can't get anywhere else. We really have the lot covered. What Happens If You Don't Have The Part On Your E-Store? We have been around the Stanford Le Hope motor trade for over 30 years, so we have a huge amount of friends and colleagues in the industry. And it is what has made us famous really. From a simple nut and bolt for a classic car, or a whole clutch system for an imported American car we can point you where to go. We don't set about trying to sell you stuff first of all, as we try to build up your trust that we are a company worth using. And it certainly has helped us, as our customers are extremely loyal to us and have been with us for over 30 years. So phone us on 01268 728309 or complete our order form and we will set to work looking for the item you want. This Sounds Great How Close Are You To Stanford Le Hope? You can see from the map below that we are only a short drive away from Stanford Le Hope. And the best thing of all is, by jumping on the A13 you will literally be with us in 5 minutes or so. What we would recommend is to make sure that the parts and spares are ready for you by either phoning us on 01268 728309, or by using our brilliant online store. Then you will never have a wasted journey. And that is what we are about. Making your motoring needs easily fulfilled.